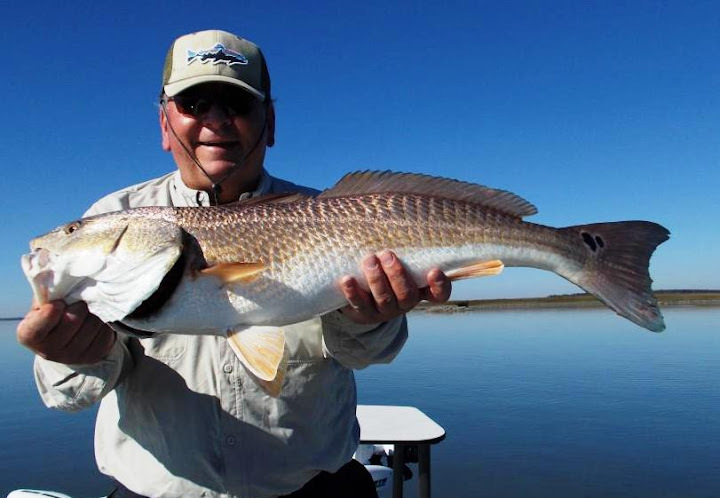 Sight Fishing for Red Fish in the winter can be amazing. Our big reds form big schools and stay as shallow as they can for protection from the bottle-nose dolphin, which is one of the red fish’s primary predators. 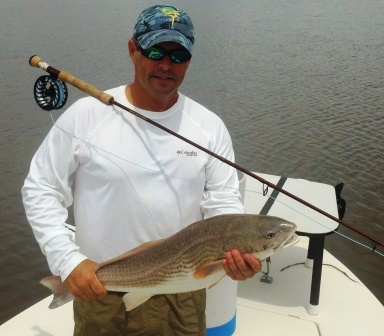 As the water cools, and on neap tides, the water clears and offers us some great sight fishing opportunities. Last week we had low tides that were approximately one foot above normal low tides. With cooling water temperatures and below normal tidal swings, the water was clear. 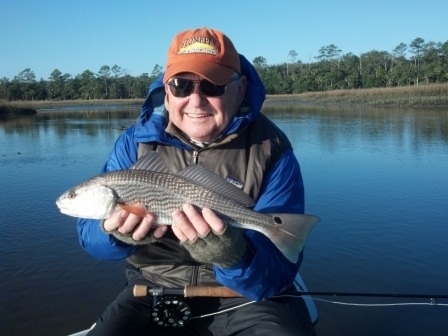 I had Richard from North Carolina stop by to spend a morning on the skiff with me. Richard is the owner of Carolina Mountain Sports in Statesville, NC. He carries outdoor and fly fishing oriented gear. 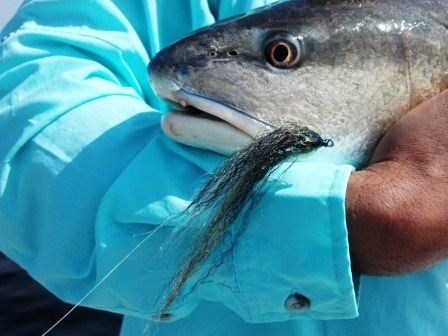 He is an excellent fly caster and an experienced fly fisherman, but he had never sight fished for red fish in Georgia. We had beautiful weather, with bright skies and light wind. With the exceptionally high, low tide, the fish were not in their normal haunts; and it took a little while for us to find them. But when we found the fish, boy did we find them. We found two schools of at least 100 fish and numerous schools of 5 to 15 fish scattered all over the low tide flat. These fish were high and happy in the water, actively feeding, pushing water, tailing and finning. 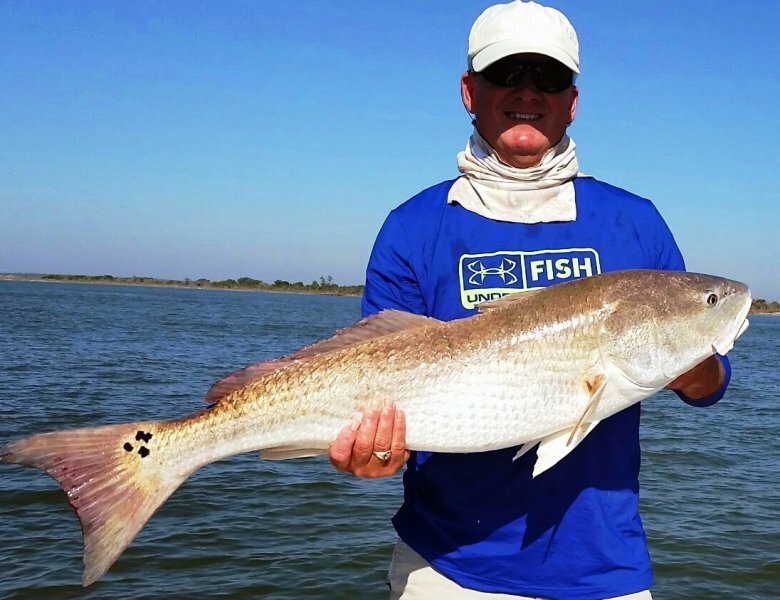 When you find fish like this on the low tide, you are in for exceptional fishing. It took Richard a few blown shots to realize how spooky these fish are. After he realized he couldn’t rock the boat while casting-which sends pressure waves out in all directions and puts the fish down-we started hooking up. The first fish came unbuttoned when an old hook broke, but he got all of the next three fish to the boat. The last one was a trophy, at 30″ and ten pounds. 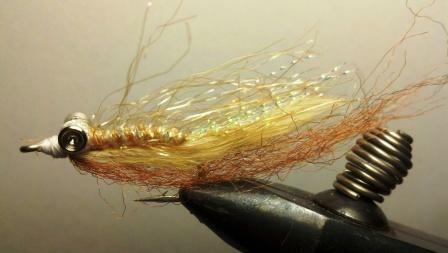 With the clear water, the Prawn’s Revenge caught three fish and the lost fish came on a well used Chernobyl Flash Bang. Long casts andlight presentations were necessary to fool these fish. 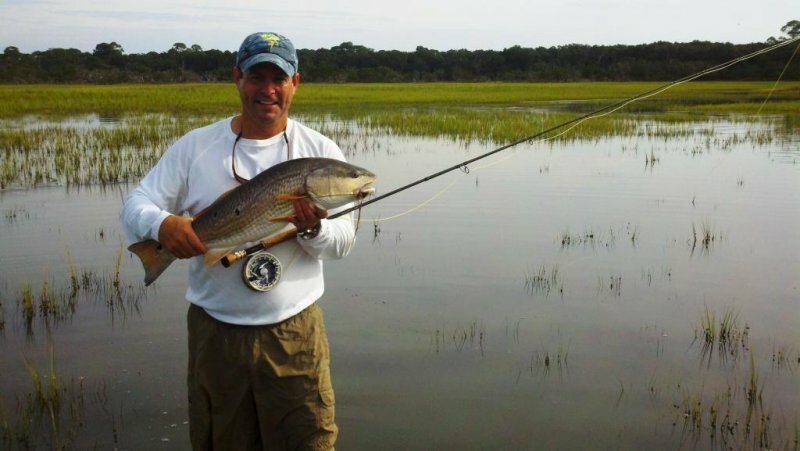 It is hard for me to decide which I like better, Tailing Red Fish in the Grass in the Summer or big schools of reds on the flats in the Winter. They are both exciting. I guess it is good this occurs at different times of the year, or I would have a difficult decision on what to fish for. 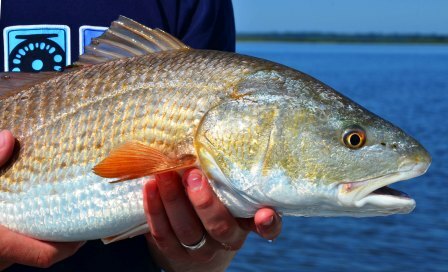 We have great tides right before and after Christmas for red fish on the low tide. The weather has been mild, and the trout fishing is still outstanding. 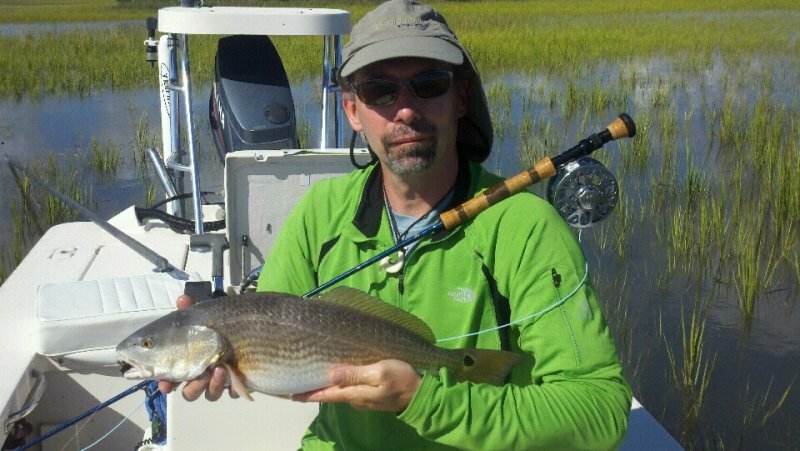 So, if you are coming to the Golden Isles for Christmas, be sure to give me a call and let’s go “Hunt Fish in the Marshes of Glynn.”.